It was obvious to me that my daughter, Laura, was feeling emotional distress. “What’s wrong, sweetheart?” I asked. “Nothing,” she replied, in typical hold-it-in fashion. I put my arm around her and said, “Come walk with me on Rabbit Lane.” We walked, she talked and cried, and I listened and did my best to buoy her up. We have taken many walks on Rabbit Lane since. Rabbit Lane has become more to me than an unremarkable little dirt country road. It has become for me a place of contemplation, enlightenment, and healing. I wrote this poem not only to remember the occasion of that walk with Laura, and of many other special walks with my family, but also as an invitation to you, my fellow travelers, to come walk with me down Rabbit Lane, as it were, in our respective journeys to understand, to grow, and to be the best men and women we can be. Tell me your joys and your dreams. past Monarch caterpillars poised on pink, perfumed milkweed flowers. 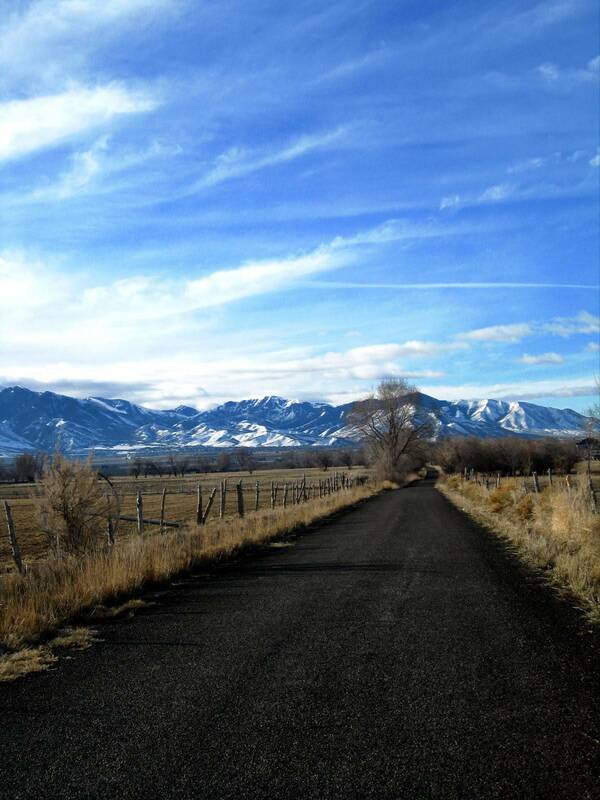 This entry was posted in Awakening, Contemplation, Enlightenment, Memoir, Parenting, Poetry, Walking and tagged Country Road, Fatherhood, Parenting on November 8, 2014 by Roger Baker-Utah. Thanks, Don, for reading. I will post a new chapter of my book each week, along with new poems and songs as they relate to the book. Many a walk I have taken down that enchanted lane as well as short cut vehicle trips enroute to Stansbury Park or Maverik gas station and even Bates and Poll Canyon’s above the bench there in the Oquirrh Mountain Range. I am very grateful that all those walks and trips took place before it became too discovered by civilization. I remember also while walking down that lane this one particular day I spied a large Bald Faced Hornets nest dangling from a branch of one of those trees that lined Dellis’ field just across the deep ditch of Rabbit Lane. When I got back to the ranch a young teen age friend was there and I mentioned to him about the hornets nest and its hundreds of hornets in it. I also told him about another friend who hung an empty hornets nest in his kitchen and how cool it looked there. I never gave it another thought and one day soon after, here this kid shows up with this hornets nest that he had procured under the cover of darkness. He gifted me with it of which I was very grateful to him and for his bravery to take the chance of his efforts turning sour, but he was smart enough to take all precautions . He left just enough of the branch on it for me to hang it in the corner of my ceiling just above my mothers antique kitchen wood cook stove that I and my wife have cooked many a meal on. And yes thanks for such a great reminder of good ol’ Rabbit Lane. A wonderful memory amongst many others all around Erda. That is a great poem.